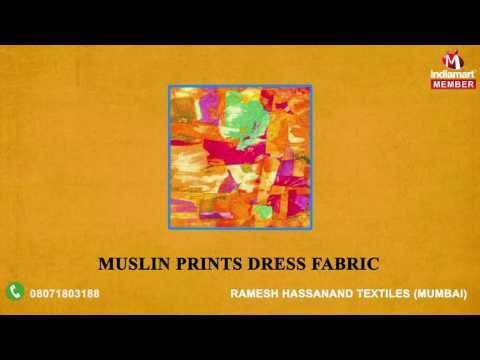 Ramesh Hassanand Textiles established its operations in the year 1972, as a manufacturer and suppliers of a commendable range of Cotton Fabrics. The offered range is comprised the finest Pure Cotton Fabrics, Cotton Prints and Printed Cotton Fabrics, having a high preference in the market. The offered range%u2019s manufacturing involves the utilization of high grade raw materials and modern machines, as per the guidelines and norms, defined by the industry. Because of this, the products%u2019 finishing, tearing strength, elegance, resistance to shrinkage and colorfastness is widely praised. In addition to this, the range, for maximum client satisfaction, is priced at the most reasonable rate possible.